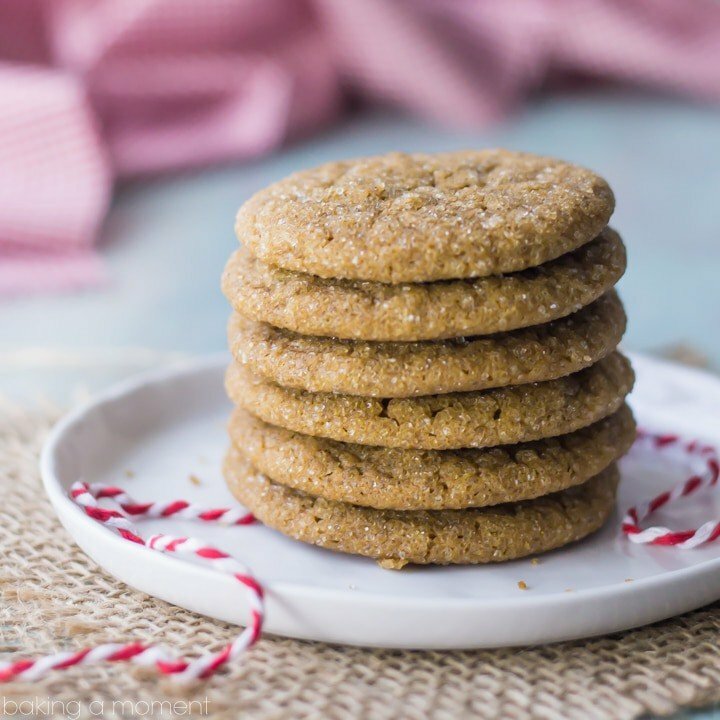 These classic cookies are soft and a little chewy, and just bursting with warm ginger spice! A perfect recipe for your Christmas cookie exchange. As picky as my kids can be about the foods they eat, every now and then they surprise me. My little guy refuses to eat pasta (??? ), but somehow in his mind spicy gingerbread and ginger cookies are A-ok.
Not just A-ok, but really, one of his top faves. 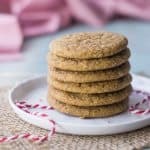 So, after I attended the Better Homes and Gardens Stylemaker event earlier this fall, where I tried a fabulously flavorful soft ginger cookie, I just knew a recipe like this had to happen in my home kitchen. Happily, BH&G ended up inviting me, soon after, to participate in the World’s Largest Cookie Exchange! They’re providing us all with the cute gift tags you see pictured (click here to download), and there are tons more cookie recipes to come, from all the other fabulous contributors. Just keep your eyes peeled over the next several weeks, and look for the hashtag #BHGCookieExchange.
. It must have been fate all along, because one of the very last recipes in the book was for a ginger cookie similar to the one I had tried and fallen in love with. 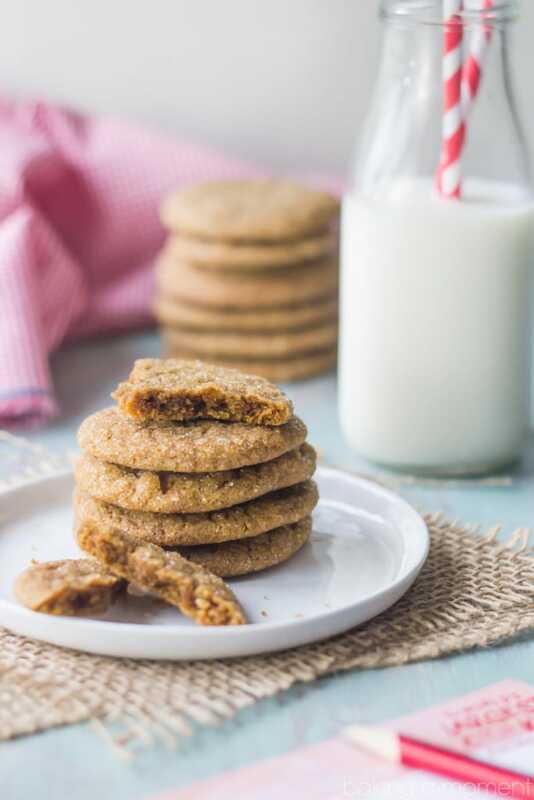 It only took a few minor tweaks to their classic recipe to bring the ginger flavor even more assertively forward, and to add a butter-y richness that keeps you reaching back into the jar for more! Preheat the oven to 350 degrees F, and line three baking sheets with parchment paper. Place the butter and sugar in a large mixing bowl, and cream together until pale and fluffy (about 3 minutes). Add the eggs and molasses, mixing until combined. Add the flour, crystallized (candied) ginger, ground ginger, baking soda, cinnamon, cloves, and salt, and mix until combined. Scoop dough into 1-inch balls, and roll to coat in white sparkling sugar. Place 1 1/2-inches apart on prepared baking sheets, and bake for 8-9 minutes, or until bottoms are light brown and tops are puffed (do not overbake). Cool on cookie sheet 1 minute. Transfer to wire racks to cool completely. I love these cookies!!!! for sure one of my favorites for the holidays!!! Oh HECK yes. Chewy and ginger are the best holiday combo eva! Thank you so much Sarah! I couldn’t agree more, lol! Ginger cookies are my favorite holiday cookie, they just taste like Christmas and the smell while they’re baking is absolutely heavenly. I’ll be adding these to my holiday baking list! I hope you enjoy them as much as we did! The last one just got eaten and now they’re asking for more 🙂 Thanks Kellie! Aren’t they? Honestly they did that all on their own. It’s really a great recipe. So happy you like, Jess! Thanks for reading and commenting! 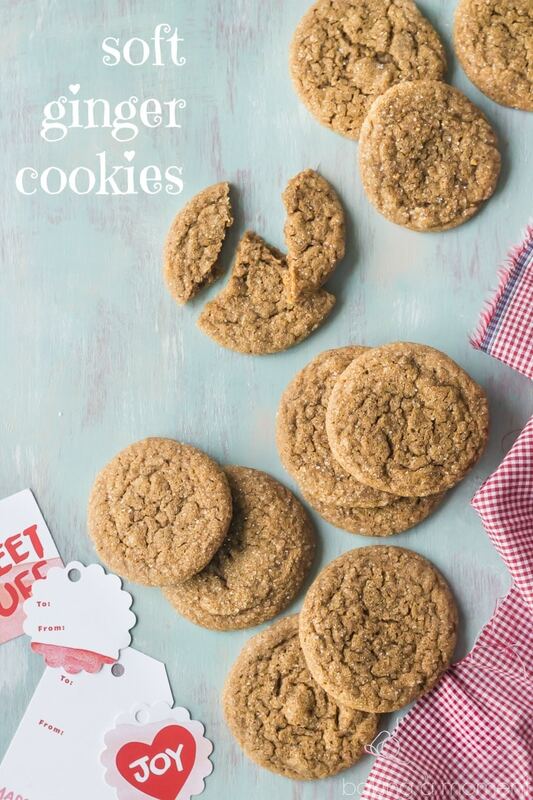 Loving all that ginger spice and how these are just chewy and soft enough! Oh I love a good gingery cookie. But they definitely have to be soft – not crunchy. So sounds like this cookie is just made for me! I’ve been seeing that hashtag floating around and I’m getting pretty excited for Christmas baking and cookie exchanges to start! 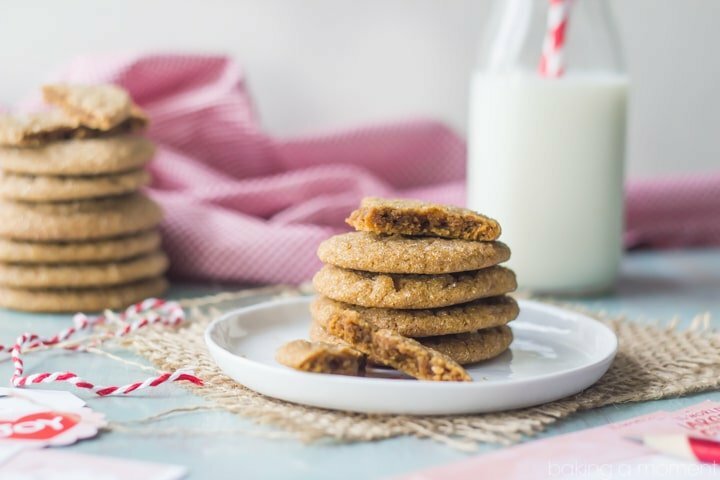 I LOVE ginger cookies and I make a new recipe every year. 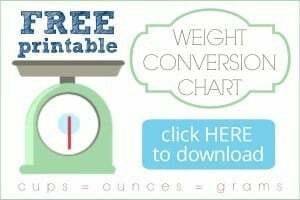 I will be adding these to my list this year. Beautiful pictures too! Aw thank you so much Zainab! Foodgawker rejected them lol. But whatever the cookies were delicious that’s all that matters! Thanks for the great comment, dear. OMG, Allie. I want to lick my computer screen… and then devour it! These ginger cookies look AMAZING! I love soft, sugary ginger cookies and yours are just to die for! Obviously your kids don’t have it all wrong, because they love these! I love cookie exchanges, but I’m sorry, I will only be exchanging THESE cookies with MYSELF! #ImmaHog Pinned! Cheers girlie! Haha that is too funny Cheyanne! I’m so glad you like these. Thanks for the awesome feedback and for the pin too! These are perfect. I definitely see a batch in my holiday future!